March is nutrition month and my team and I want to challenge you to make one nutritional change to optimize your health. Perhaps you will drink more water, stop noshing sweet foods after dinnertime or eat more leafy greens. Whatever nutritional changes you make, it all helps. When it comes to your health, the quality of your food changes everything. This does not mean you will feel deprived by your food in any way. Eating healthy and mindfully will help you in all areas and can be easy, delicious and satisfying. So... enjoy the amazing recipes, products and success stories below. And remember – health is absolutely the first wealth with nutrition changes topping the charts. How does blood sugar and the glycemic index of foods influence weight loss? 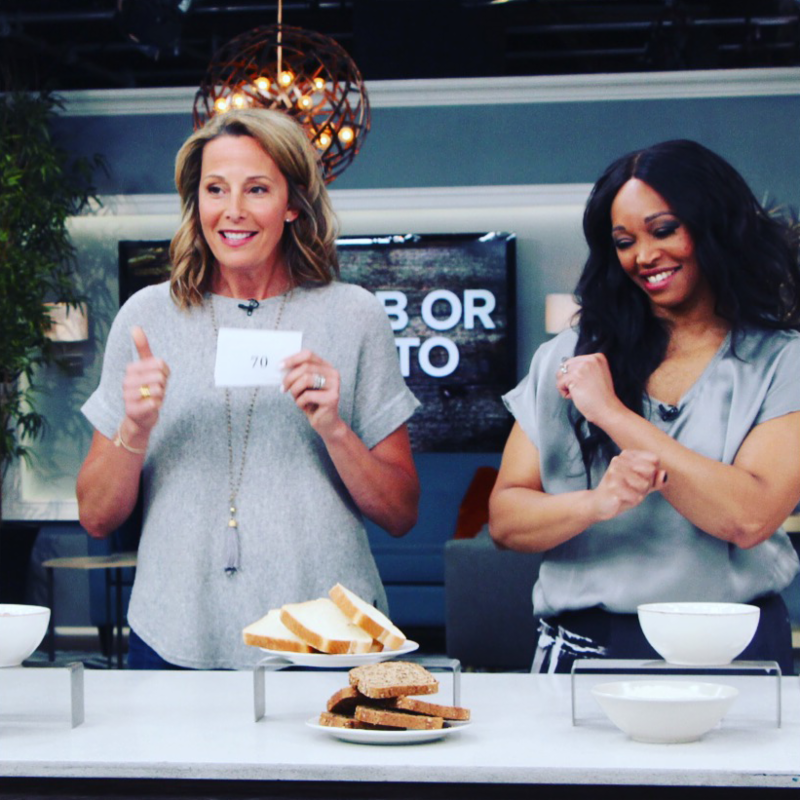 Click here to watch my latest Cityline appearance to find out! 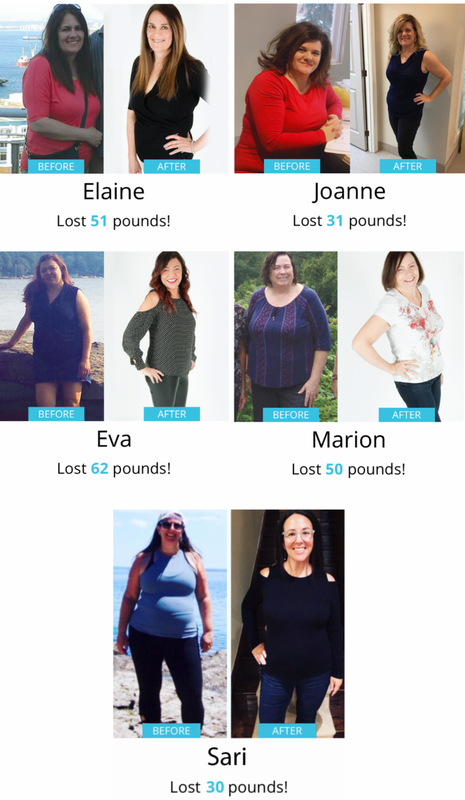 Even after 15 years of practice, I am still awed by each and every health and weight loss transformation that happens at Shulman Weight Loss. At our clinics, we practice natural hormonal weight loss that helps you lose the weight and... keep it off for life. 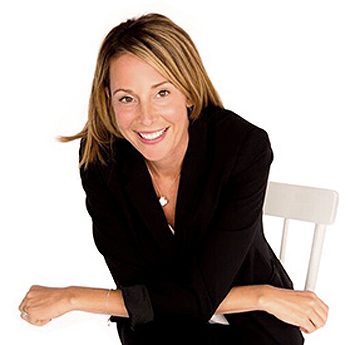 Easy, effective and a program that can be implemented into the busiest of schedules – I am proud to say after seeing thousands of clients reach their goal, it works! So... if you are finally ready to make a change this spring and lose the weight, all you have to do is book in for a FREE weight loss assessment at 1 of our 3 clinics listed below. We cannot wait to meet you! You can also visit www.shulmanweightloss.com to learn more. Matcha green tea is by far one of the most nutritious foods available on the market! It carries a long list of wonderful benefits including boosting metabolism, detoxifying the liver and lowering cholesterol. Matcha also contains an amino acid called L-theanine which helps you to feel energetic, yet calm at the same time. You do not need a lot of matcha to reap the benefits... one serving of matcha is equivalent to drinking a whopping 10 cups of regular green tea. 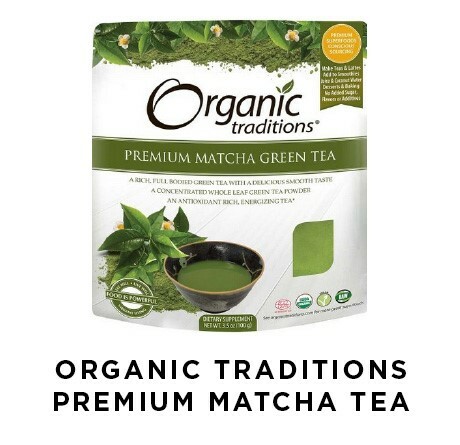 Organic Tradition’s premium matcha powder comes from Tencha leaves collected after the spring harvest, offering a full bodied earthy green tea taste without the astringency or bitterness associated with late harvest Matchas. There are no fillers, flavors, preservatives, additives or sweeteners used- just 100% pure Matcha! 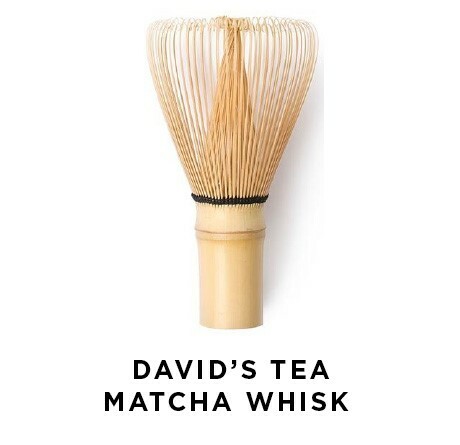 Make the perfect cup of matcha tea with this traditional bamboo whisk from David’s Tea. Smply pour hot water over your matcha powder and whisk until you reach a smooth and even consistency. 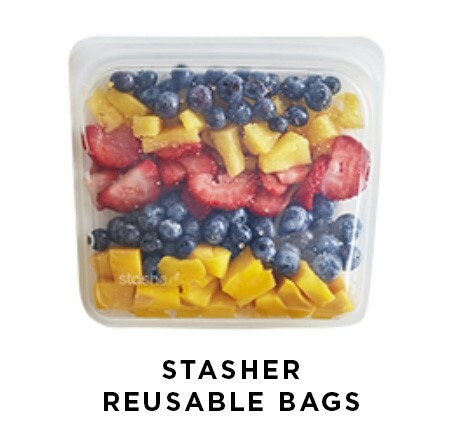 These fun and functional reusable bags by Stasher are an important step to help with the future of our environment. Stasher’s 100% pure platinum food grade silicone bags are the healthy alternative to plastic. Available in a variety of different colors and sizes, these bags can be used for on-the-go snacks, cut up fruits and vegetables, sandwiches, leftovers, and freezer foods. They are easy to use and clean are made with completely non-toxic materials. Join in and take the plastic free pledge! Looking to shake up your snack game? 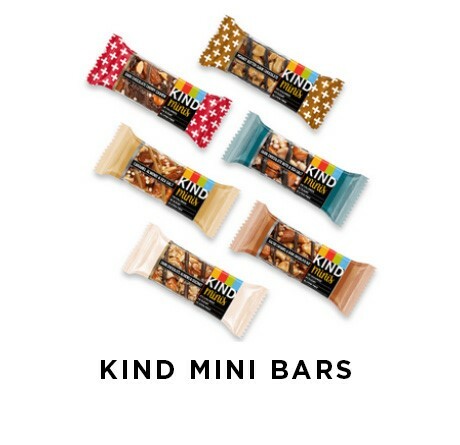 These mini bars by KIND are packed with nutrition and flavor that you and the kids will love. Each bar contains 100 calories or less, making them the perfect snack to grab in the morning or afternoon. These gluten free bars are low on the GI index and contain less than 10g of sugar, so they won’t spike your blood sugars or trigger cravings. They come in a variety of flavors, including dark chocolate nuts & sea salt, caramel almond & sea salt, peanut butter dark chocolate, and dark chocolate cherry cashew. Pair with a fresh piece of fruit for a well-balanced, delicious snack! 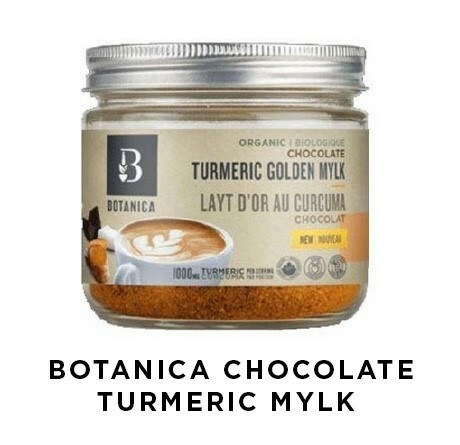 Boost the traditional cup of hot chocolate with the wonderful benefits that this chocolate turmeric mylk has to offer. Made from a delicious blend of chocolate, turmeric, cocoa, dates, coconut, vanilla, ashwagandha and black pepper – it is low in sugar and naturally sweetened. The turmeric helps to reduce inflammation in the body while the ashwaganda is great for combating stress and anxiety. This delicious organic blend is gluten-free, soy-free, vegan, dairy-free, sugar-free and made with all non-GMO ingredients. Simply whisk one teaspoon into one cup of hot water or warmed nut milk and enjoy! 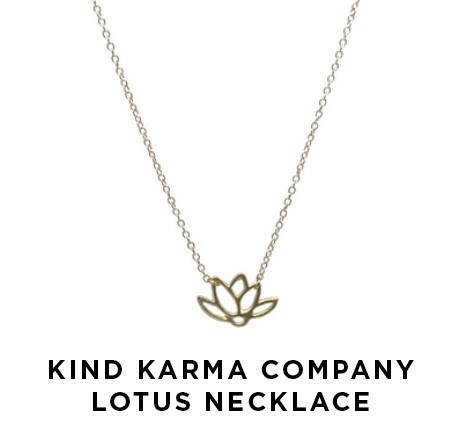 Treat yourself this month with this beautifully crafted lotus necklace by Kind Karma company. This delicate gold lotus necklace is seen as a symbol of rising out of suffering and overcoming obstacles. It is 10” in length with a lobster clasp and tag and is tarnish and fade resistant. All Kind Karma jewelry is locally made in Toronto and handcrafted by at-risk and transitioning homeless youth. These youths receive profits from each sale, which enables and empowers them to seize better opportunities for a brighter future. Each youth has a goal that Kind Karma helps them achieve that give youths the opportunity to better themselves and thereby pay it forward. Learn more about this wonderful company at www.kindkarmaco.com. In a small saucepan over medium heat, warm the oat milk. Alternately, if you have a milk frother, you can use that instead. 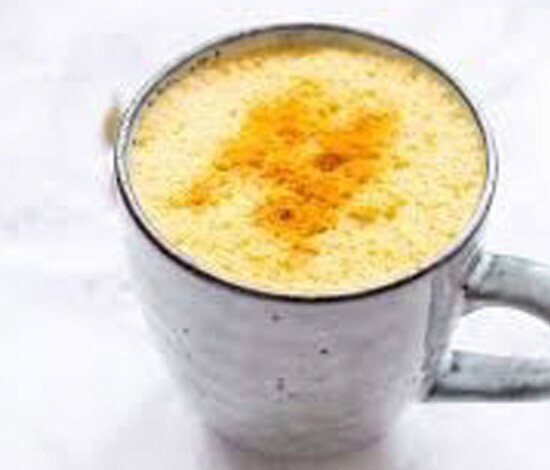 Pour the warmed oat milk into a mug and stir in the honey, vanilla extract, turmeric, cinnamon, ginger and black pepper. Whisk to combine. In serving bowl, add kale, apples, celery and onion. In a separate small bowl, combine white wine vinegar, olive oil, sea salt, maple syrup and pepper. Whisk dressing together until well combined. Drizzle dressing over salad ingredients and toss to coat. Crumble cheese over top and add walnuts and quinoa. Line a small baking sheet with parchment paper and place salmon. Drizzle olive oil and top with tomatoes, garlic, red onion and olives. Sprinkle with sea salt and pepper. Place into oven for 15 minutes, or until fish is flakey and cooked through. 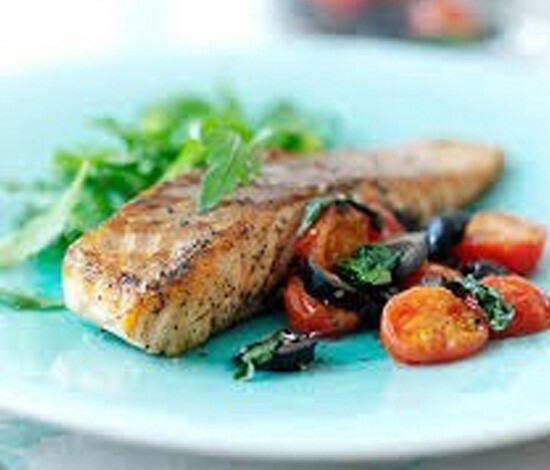 Before serving, squeeze lemon wedge onto salmon. Wash zucchinis and cut ends off. Use a spiralizer to make zucchini noodles. Place into a bowl and set aside. Place pine nuts in a dry skillet, and toast for about 3-5 minutes, or until golden brown. 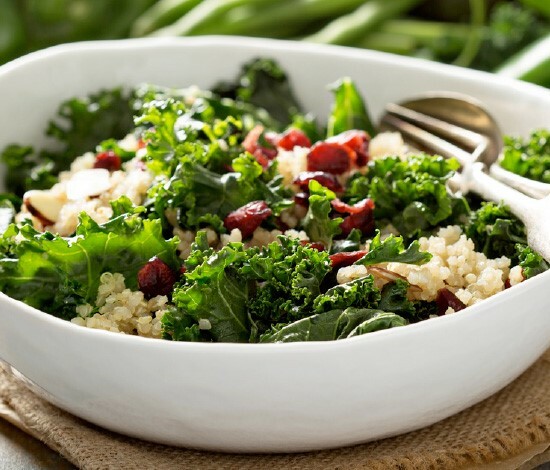 Add toasted pine nuts into a food processor along with kale, basil leaves, garlic and sea salt and pulse until kale is finely chopped. Add cheese, and pulse for another 30 seconds or so. Drizzle in olive oil, and continue to pulse until the pesto reaches the desired texture. 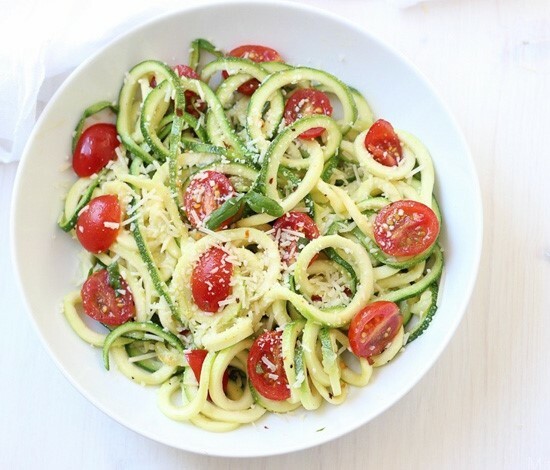 Pour pesto onto zucchini noodles and top with ½ cup of sliced cherry tomatoes if desired – enjoy! 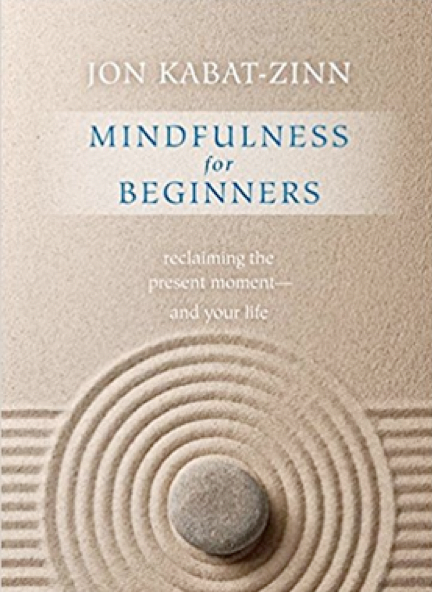 Mindfulness for Beginners by acclaimed mindfulness expert and best selling author Dr. Kabat-Zinn explores five guided meditations that lead you breath-by-breath into the essence of Mindfulness-Based Stress Reduction (MBSR), a program offered in medical clinics and hospitals around the world. The practice helps to free yourself from limiting perspectives and become more intimate with your own boundless awareness. Dive into this book and really allow yourself to learn about the wonderful benefits that meditation has to offer – you will not regret it! Available where books are sold. Don’t forget the proteins – Fill-me-up proteins are essential to a healthy and balanced lifestyle - so don’t forget about all the delicious plant based proteins available such as lentils, quinoa, hemp seeds, beans, tofu and tempeh. Get a variety of colours – Take advantage of all the wonderful vitamins and minerals available in our fruits and vegetables and eat the rainbow to get a wide array of these beneficial nutrients. 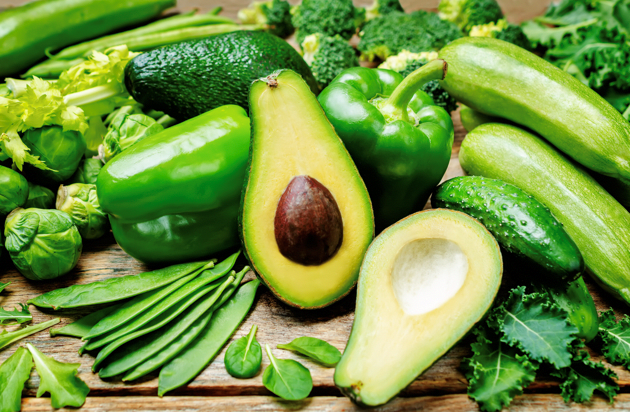 Eat your fats – Nourish your cells, fuel your brain and keep yourself sustained with healthy, plant based fats such as nuts, seeds, oils and avocado! Watch the sugar – Keep your fruit intake to one or two servings each day to minimize your sugar and prevent spikes in your blood sugars. Have fun with your meals – Always try new recipes and foods to make plant based eating fun and exciting!